Important notice for customers using the 105-D NCF outlet cover with GTX Wall Plate: for improved sonic performance, the 105-D NCF has been designed not to sit on the base of the GTX Wall Plate and the Teflon sheet is not required when fixing the 105-D NCF to the GTX Wall Plate. Neo Damper Outlet Cover 105-D NCF is Furutech’s “Top of the line” Receptacle Cover. After a multitude of tests involving the best in damping materials, Furutech brings you its masterpiece. 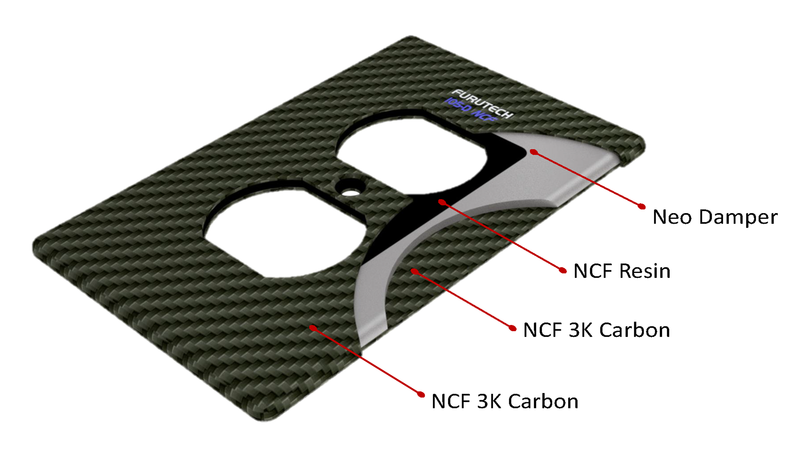 This combination of carbon and NCF and Neo Damper will be the final touch to your complete AC chain. NCF - Nano Crystal² Formula - Nano Crystalline, Ceramic and Carbon Powder Incorporated into select Furutech products, Nano Crystal² Formula --- NCF is comprised of a special crystalline material that has two “active” properties. First, it generates negative ions that eliminate static and secondly, it converts thermal energy into far-infrared. Furutech then combines this remarkable crystalline material with nano-sized ceramic particles and carbon powder for their additional “Piezo Effect” damping properties. The resulting Nano Crystal² Formula is the ultimate electrical and mechanical damping material – only found in Furutech products! 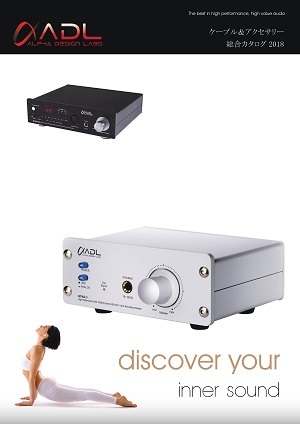 Nano Crystal² Formula eliminates static, “interconverts” thermal, mechanical and electrical energy and damps vibrations—all for the finest Furutech Pure Transmission signal imaginable. Even with development and application of high-performance AC outlets, it is often the case that the user is not experiencing the true worth of the AC outlet due to poor quality and performance of the outlet cover used with such high-performance AC outlets. Materials used in the development of outlet covers have always been the major sales point and the task of finding new materials that are conducive to improved sound performance has been a difficult one. 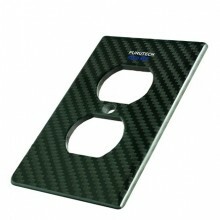 Then Furutech developed an outlet cover formed of Neo Damper and NCF carbon fiber. Reaching a level of performance not seen until now, this nonmagnetic, nonmetallic outlet cover has won high praise and is a worthy recipient of the Meikisho Audio Accessory Award’s Special Award. Last year we saw the introduction of the GTX-D NCF(R) AC outlet as the first product in the NCF series lineup. 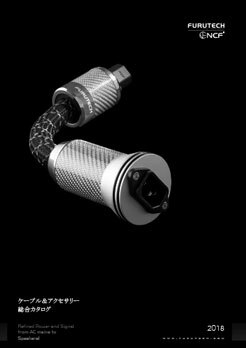 Of course, there is the appeal of this NCF material, however I think it was really the synergistic effect of Furutech’s accumulated technical development prowess. This year again, two years running, Furutech receives the Special Award, for their new Neo Damper outlet cover 105-D NCF. With this concept outlet cover plate, I hope for many audiophiles to easily experience the effectiveness of NCF and Furutech’s advanced technical expertise.